As a comprehensive dental care provider, Parkway Dental Care provides root canal therapy to residents of Brentwood and surrounding communities. With high level training and equipment, Dr. Rizvi and Dr. Habib make endodontic therapy a much more streamlined and enjoyable experience for patients. Root canal therapy is an endodontic treatment that addresses problems within the inner structure of the tooth. These may be caused by decay, infection, or acute dental trauma (such as a crack or fracture). Root canal can relieve pain and prevent the death of the tooth. If the tooth is left untreated, tooth loss or removal will become inevitable and symptoms will spread. Our dentists perform root canal therapy treatments to prevent and monitor the spread of disease. 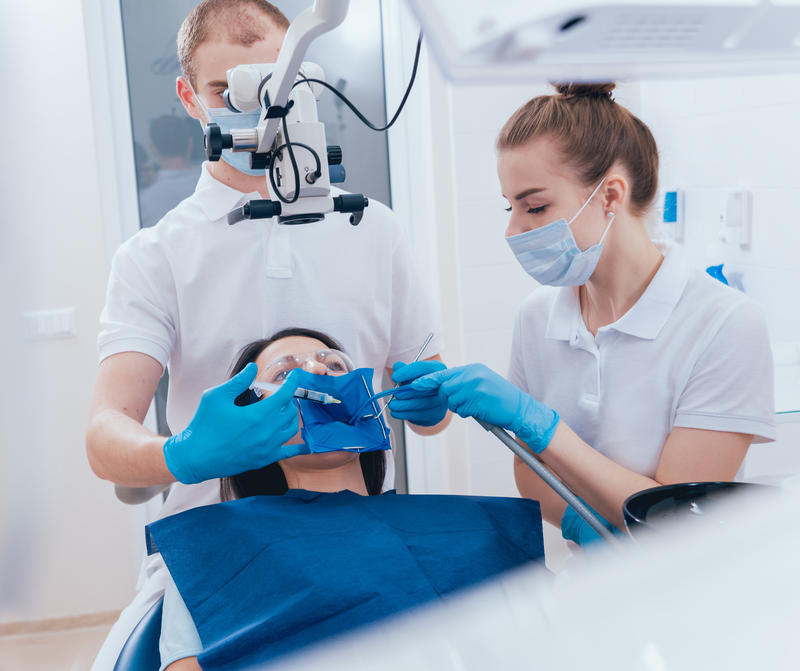 To keep patients comfortable throughout the procedure, your dentist will use sedation or local anesthetics to numb the site of the root canal. A small hole is made to provide access to the inner pulp off the tooth. The afflicted pulp is filed and rinsed away, cleaning debris. An additional antibacterial medication may be applied, to temporarily close off the site and promote healing. The tooth is then filled with biocompatible material and sealed over. To schedule a consultation or treatment, call Parkway Dental Care at (925) 240-7071. If you need immediate treatment, our office also offers emergency services for root canals in Brentwood, California.